MEEKER I Fire managers from the Northwest Colorado Fire Management Unit are planning to burn 550 acres of sagebrush in the next couple of weeks if weather and air quality conditions are favorable. The project is located approximately 25 miles southwest of Meeker near the junction of Rio Blanco County roads 29 and 87 on Bureau of Land Management land. The project is anticipated to last two to three days depending on weather and fuel conditions. The purpose of the prescribed burn is to reduce the potential for large-scale wildfires by reducing the amount of live and dead fuel accumulation, resulting in lower intensity wildfires and create age diversity in the sagebrush community producing a mosaic growth pattern. 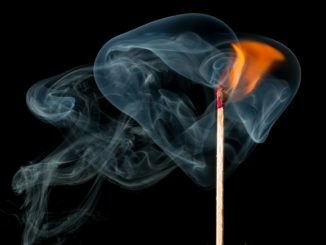 Smoke will be visible from local county roads during the implementation of burning operations. Weather and fuel-moisture conditions will be closely monitored, and the burn will only be initiated if conditions are ideal and allow for safe and efficient operations. Each prescribed burn conducted by the Northwest Colorado Fire Management Unit has a detailed fire plan developed in advance, along with appropriate smoke permits obtained from the State of Colorado. 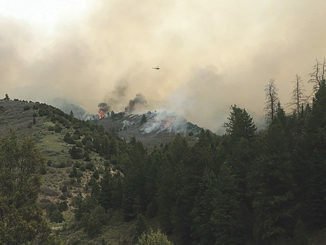 The Northwest Colorado Fire Management Unit is an interagency organization that manages wildfires in Rio Blanco, Moffat, Routt Jackson and Grand counties. Cooperating agencies include the U.S. Fish and Wildlife Service, the Bureau of Land Management, the Colorado Division of Fire Prevention and Contro, and the above-mentioned counties. Please contact Kyle Frary, Fire Management Specialist, at 970-878-3862 for more information. RBC | During the next month, the Colorado Division of Wildlife will be conducting small scale prescribed burns on Oak Ridge State Wildlife Area. For more info contact the CDOW office at 878-6090.